Consumer Reports, the nation’s most respected source of product reviews and buying advice, does not mince words about extended warranties. It calls them a bad idea and money down the drain. The website Consumerist agrees, calling extended warranties useless and usually a bad deal. So why on earth would you consider shelling out an extra $50 to $150 for a couple of extra years of warranty coverage on your new appliance, computer, or mobile gadget? Well, dear reader, try to suspend your cynicism for a moment while I tell you about a 200-employee company in San Francisco called SquareTrade, which works with bricks-and-mortar chains like Costco and TigerDirect and e-retailers like Amazon, eBay, and Buy.com to offer protection plans for laptops, smartphones, tablets, and other electronics. Steve Abernethy, the company’s energetic CEO, says he’s well aware of the extended-warranty industry’s dreadful reputation. But he thinks SquareTrade has a shot at salvaging it, mainly by offering broader coverage and better service at lower prices. I’m not saying SquareTrade has won me over, and I haven’t bought extended warranties for any of my own devices. But I’ll say this: I went into a recent interview with Abernethy as a hardened warranty skeptic. I came out thinking that the industry might be changing, and that buying an extended warranty might be a good idea for some people. You can file most of the historic problems with extended warranties under lack-of-transparency. To start, it’s hard to make an informed decision about buying a warranty, since they’re usually pitched at the point of sale, when customers tend to be hurried, and it’s difficult to inspect the fine print or research alternatives. It’s also hard to predict whether your new $200 microwave oven will go kaput in the next two years, and therefore, whether a $50 two-year extended warranty pencils out. On top of that, it’s often tricky to figure out who’s actually behind a warranty offer. Companies like Apple and Dell have their own protection plans. But the warranties that many big-box stores sell under their own brand names actually come from third-party providers; the stores essentially buy the plans wholesale and mark up the price. This outside provider is the company you’ll have to talk to if you ever need to get an item repaired or replaced. In the gadget sector, the largest warranty provider is Nashville, TN-based Asurion, which might just be the biggest company nobody has ever heard of. It works with Walmart, Verizon, AT&T, T-Mobile, and Sprint, among others. In 2010, it reported $3.8 billion in revenue. These kinds of flaws and frustrations are exactly what attracted SquareTrade to the warranty business in the first place, says Abernethy. He co-founded the company in 1999 with fellow Harvard Business School alum Ahmed Khaishgi. The answer is No, I do not need an extended warranty. Have you ever heard of Betteridge’s law of headlines? Okay, point taken, Andy. But from an editorial point of view, let me ask you this: Would you be as likely to read a story with a headline that said, “SquareTrade Says You Need an Extended Warranty?” Of course not. Plus, the whole gist is that I’m investigating something that, to me, is a real open question — and it remains so even after the piece has ended. So I’m not inclined to apologize for the headline. Thanks for the article! As someone who puts probably-far-too-much money into camera equipment, which are prone to mechanical failure and thus in need of costly repair, the question in your headline is exactly one that I’ve been asking myself. I’ve wondered specifically about SquareTrade, given that I’ve seen them frequently on eBay, and I found it very helpful to read your article and learn something about the company. I’d generally held the same negative impression about extended-warranty plans, but based on your article, I’d consider giving SquareTrade a second thought. “But from an editorial point of view, let me ask you this: Would you be as likely to read a story with a headline that said, “SquareTrade Says You Need an Extended Warranty?” Of course not.” Exactly! I mean, creating headlines for a blog is almost as important as writing a good article beneath it. In today’s time of Twitter and Facebook sharing, the first thing people see is the headline and if the headline is not appealing, they won’t even click the link to see the remaining article. Thumbs up for a great headline and even a better article. Now that SquareTrade’s prices have increased, you should revisit the article. The one thing not taken into account, is first of all does the warranty cover accidental damage like if I drop it, I always thought the warranties didn’t cover that. Secondly, how much will that 700$ phone cost to buy used on ebay in 2 years time if it does break? That’s the true replacement cost. In the end the question is, is the cost of the event more than you can bear by self insuring, since the amounts are low (compared to say a house burning down or the liability of causing a 10 car pile up on the highway) you are probably better off putting the money you would spend on the warranties in a bank account or buy some GICs and use that money to buy a new device should you break one, not to mention that in 3 years I probably would not want the same phone if it broke, you would be free to buy the same phone, a better phone or simply one that meets your needs better. In the end, they are making a profit, therefore the amounts they take in warranties is more than the cost of the devices they replace, all their staff and real estate etc… otherwise they would go bankrupt (This is of course true of all insurance). It is great to see them bringing the premiums down to be more in line with the odds of them having to pay out, I agree that at 20% it is a HUGE ripoff, down at the 12% level, it becomes more reasonable. But once again, it is a hugely depreciating asset, my Galaxy Note that was 700$ new last year can now be had on eBay for 200-300$. I always thought like you did – have never purchased an extended warranty in my life. Bought my wife a 2 in 1 convertible windows 8 machine, and within a month the screen was cracked and touchscreen unresponsive. I have two young kids so no real mystery about what happened. That started to change my mind about certain more fragile electronics. I am in the market for a new touchscreen laptop now and strongly considering a squaretrade warranty. Given that kids will be using it, it seems to make sense for me, even though I can afford to replace it if needed, and I of course understand that over the long haul the insurance company must be making money. Please also consider, they may make money because the cost for them to repair an item is much less than it would cost the end consumer. Part of the value equation here is, how much is the hassle? I may save a few dollars if my item breaks but is it worth the hassle of getting coverage. This warranty seems pretty broad so that makes the “hassle cost” pretty low. Anyway, long way of saying that the answer is not a simple no – people have personal circumstances that change things. That being said, I would never consider for kitchen appliances or items that are pretty reliable now. It’s the accidential breakage that convinced me to consider it for a new laptop. Be very carefully, if you break it due to abuse, they will not pay to fix it. So if your little tots drop it, or play rough with it, most likely they will deny the claim. I guess extended warranty is a good idea for some but is another expense for others. It all depends on its coverage and the type of product you purchased. If the product is prone to damage, then I guess extended warranty is a must. Why is there a link to a third-party car warranty in your post? At the end of the day you need good phone insurance or warranty options. In my opinion esurranty.com beats squaretrade hands down. I’m sure squaretrade paid to post this, but in the end I say compare the two and see for yourself. Esurranty.com offers more including loss and theft and doesn’t have over 130 bbb complaints in a year as squaretrade does. It’s less about “what” extended warranty covers (or not) and more about the hassle and nightmare of making claims on the extended warranty contract. I just had to jump through fiery hoops to get a simple preventive maintenance visit done — supposedly covered by a “gold” warranty plan on kitchen appliances. I practically have to take blood pressure pills because of this. I’d rather not have this plan and pay for maintenance if / as needed. They are not worth it! If you read the article, one of the main points is the ease of filing a claim. I’ve never used Squaretrade personally, but it is a bit unfair to point out an issue you had, in an article explicitly explaining that that is an issue, but ST has simplified it. I agree with you, the most important thing to me is how little i have to hassle if my appliance or device stops working and how fast and easy it is to solve the problem. That’s why i googled this subject, trying to find out if there is a warranty that would be worth buying for those purposes. Another poster, Cheryl, said that SquareTrade covered the cost of a repair person coming to her house to fix her TV. That would work for me. What doesn’t work for me is having to ship my broken appliance to someone and wait while it is away from me and be without it, i would probably rather pay for the repair myself, because of the stress. I’m looking for an extended warranty on my new microwave that would fix it in my home or refund my purchase price and i’ll get a new one, and send me a shipping box and i’ll send the broken one to them and they can repair it and sell it refurbished. I’m willing to pay money to insure that if my appliance does break down, i can solve the problem quickly and easily. That’s how Amazon is in the first 30 days (sometimes more) and that’s how Staples has been about printers, and HP was the best of all, sending my a new printer and a shipping label, and i shipped the broken one back in the box the new one came in. My microwave is Panasonic. I wish Panasonic had a warranty like that for the first year, and after that year, i would buy an extended warranty. I think offering an extended warranty is pretty common practice. I never used mine, but it is nice knowing that if I needed it, it will be always there. Hmm square trade is worth it and I use them a lot just got my $350 back today in my paypal account from them and my warranty was under $100. The first claim was for my tv, the repairman came and fixed it, it’s always no hassles. I thought nothing would never happen to any of my electronics but I was wrong. Accidental including spills, drops etc square trade covers it all. I understand the uncertainty people have when it comes to purchasing an extended warranty. It is important to understand that not all extended warranties are alike, and the value of having an extended warranty varies depending on the product purchased. I do believe that it is valuable to consider an extended warranty for a vehicle should be considered if you plan to drive the vehicle past the standard miles included in the manufacturer’s warranty. Repairs can get pricey without having an extended warranty, however, there are certain parts or systems that aren’t covered by an extended warranty at all. Also think about if the warranty is transferrable to a second car owner if you should sell your car in the future. There are a number of extended warranties that are transferrable to second car owners, and can actually increase your vehicle’s re-sale value. is used up. It reduces every time you claim by value of the replacement. cover for factory default after manufacturer’s warranty drops off. That’s why its a good idea to contact the provider of your homeowners insurance for a quote on coverages for theft and accidental damage. Before making decisions to purchase an extended warranty one need to be very sure that the product really needs an extended warranty. It depends upon the type of product that you have purchased. Thanks for sharing this post. One week and one day after the warranty on my POS Samsung microwave expired, the touch pad went out. I paid over half the purchase price to get it replaced. Now, six months later the magnatron has gone out. My first microwave worked for twenty-three years, my second less than two. I found this article while searching for an extended warranty for my third one. My answer is “Yes”. A rip off. Bought a camera on ebay I wouldn’t have bought, but the warranty made it attractive. Three months later and the camera quits, their only solution is to agree to a different contract, well less then what I purchased. And they are totally ignoring me, unless I agree to this new lesser contract. Don’t you read contracts that you agree to? I am new here and I hope you don’t mind I try to seek advise here. In May 2013 I bought a Canon G15 at B&H with a Square Trade Protection Plan with Accident Coverage. A year later I had an accident here in France with my Camera. I informed Square Trade and they sent me in an email that I should go to visit a local shop. So I did. I went to a local camera shop and they sent it basically to Canon France. Canon wants now to replace the whole camera block because I was told it is a block. Costs are estimated around 520 $, the insurance covers only the purchasing price which was 450$. Before I sent the camera away, I pointed out to them that repair costs in Europe are high and it would be cheaper to organise a new camera for me and ship it to me. That was refused. I have also pointed out to them that I am in France! I also received an email, pointing out, that I should contact them in case these costs are higher then 450$. So I did, but now they suddenly demand I should ship my camera which is at Canon France back to US. Why do I have to pay twice for shipping now because in first place they suggested local dealers here in France! Also, they want to complete my warranty but I paid for 3 years coverage. It is big joke and I don’t know what I should do. I offered them solutions, but nothing was good enough for them. I have no camera, no money, just a lot of trouble with this company. Of course, they refuse to pay me currently anything and I have no camera. Was somebody in a similar situation and could offer advice? What warranty or insurance company is gladly going to pay more for repair than the new retail cost of an item. They’d have to be mad. just finished reading the terms on their site…this was another concern “B. Provide a cash settlement or a gift card reflecting the replacement cost of a new product of equal features and functionality up to the Coverage Amount”…..so if my computer goes kaput in 2 years and needs to be fully replaced for some reason is the prorated cost going to keep this worthwhile? I feel more confident with a combo of credit card and homeowners’ insurance. further research has shown that that is the answer. Turns out my card gives me an extra year extended on to the manufacturer warranty. Plus the homeowners insurance I did not think of. Thanks for the info. Saves me some $$ and worry. James, check with your home/rental insurer to see what coverage you would have on a laptop if you itemize it, or any other computer equipment that you take out of your residence. You must usually schedule a computer (or camera, etc.) to include accident damage with no deductible. It’s quite cheap. A lot of credit cards cover damage or theft within 90 days of purchase, in addition to the year of extended warranty. It might be a good time to get some competitive quotes for homeowners insurance. The insurance offered through Costco is very competitive, as is the company that insures me, Amica. I recently suggested to a friend that she get some fresh quotes and she has been able to reduce her combined house and car insurance by $2,000 a year! She has an ordinary car and a house worth $180,000. Granted, she was wildly overpaying, but it is worth checking, especially since coverages for things like computers also vary considerably. My brother handles that I am seeing with him about the insurance. He couldn’t beat me on price for the car as far auto insurance and getting my own, but I was appalled at how much I was overpaying from a simple 2 year policy I had started. The card adds a year onto the manufacturer warranty for me, though I don’t see anything about loss or accidental damage protection. A lot of people who buy extended warranties also need to see the quality of the underwriter of the warranty and the terms then get the warranty that provides the best value for money. I got my warranty with http://www.warrantizor.com. They have a A rated underwriter like squaretrade but are much cheaper. Strangely, Google finds scant information about Warrantizor. Its Terms & Conditions do not specify an “underwriter.” It says, “In addition to the security offered by dealing with a leader in the industry, the obligations assumed under the terms of this Plan are fully insured by an insurance carrier rated “Excellent” by A.M. Best.” But what carrier is that? BestBuy extended warranties are definitely worth it. I had to replace my computer twice in the first year of owning it and it was nearly completely free for me. My first notebook from them cost $1,000, and they give you the full cost towards a new computer from them. No hassle either, when I went in and explained my issues to the GeekSquad guys they verified what I said and I got my refund. The first time they sent it away for screen repairs but within a week I got an email that they weren’t going to repair it, rather just refund the cost. The second time I brought it in and it was just completely dead so they gave me the replacement cost to get a new one immediately. So not only had I gotten a 20x return on the one year warrant I purchased for something like $150 but it was easy too. The only money I had spent was to renew the warranty another year. And then you also have to consider the many people who bout coverage for items that didn’t need repairing. Warranties are probably the highest profit item BestBuy sells. For consumers more concerned with accident damage, like dropping a laptop, homeowner’s insurers often offer add-on coverage at a much lower cost than warranty companies do. My own insurer charges less than $30/year to cover a laptop. Of course it doesn’t cover non-damage warranty failures. That’s what I worry about. Hardware failures on a 1500 laptop. But then I also think a decent computer tech could replace any potential failed component and within a year of the laptop I just bought being on market parts for it will be all over ebay, etc. nm, mentioned my credit card warranty add on above, disregard. Square trade doesn’t cover much of anything. If you lose your phone, too bad. You have to buy more expensive insurance for that and it’s more than phone company. If Glenn Beck is selling it on his show, you can be sure it’s a ripoff, just like all the advertisers on his show are, including his own stuff. okay I get that they don’t cover loss and theft of my laptop, fine. But I’m reading the terms and accidental damage such as a spill or drop or my lcd screen going nuts are covered. Why is that such a ripoff? I’m just trying to decide. Don’t just go by my comments, look at others as well. It looks like there are a lot of problems with it. I decided against it, you might try it and like it. i wasn’t aware that purchasing with my credit card extended my laptop’s warranty by a year. I’m good with that. I just can’t work out where this would be beneficial cost-wise especially since I’m very careful with my tech. The only way I’m coming out on top is if i dump a coke on it then “accidentally” crack the lcd screen unethically at the end of the warranty period in hopes of maybe getting a replacement. Not for that. Further, for a real accident like nic said homeowner’s insurance should have me covered. Still need to look into my particular policy. Good points. The reason i’m looking into buying an extended warranty/protection plan is not for accident because it’s for a microwave that extremely unlikely to be accidentally damaged. I’m looking to extend the manufacturer’s warranty on problems that have to do with something wearing out. I’m not sure about Square Trade but Asurion’s protection plan covers not just electronics but mechanical as well. I’m thinking of my microwave door. As far as my laptop goes, on my MacBook that i had for 5 years, the lid got kind of loose and floppy. Maybe a protection plan would cover that. And things like if some of the keys got loose and fell off. I neglected to read the fine print. WATCH THE DEDUCTIBLES !!!!! DO NOT BUY SQUARE TRADE WARRANTIES!! I had the worst experience with this warranty company, i mean the ultimate nightmare you wish doesn’t happen to you when you buy a warranty. they offered me a lower quality product for a replacement, they refunded my warranty and cost for tv when i said no to the cheap tv they wanted to give me. i just hope this helps someone from making the same mistake i did. Ok so they refunded you the amount you paid and the money for the warranty and you are concerned about the 7% or however much you payed for the tax?? I mean call me crazy but I’ll take the amount of the tv AND the money back for the warranty any day! You got something back didn’t you? You are acting like they gave you nothing back. They did what they promised to do. Replace the item or your money back. hey James do you work for square trade? I agree if Square Trade refunded the purchase price, that is a good sign. What wasn’t clear from Robert’s post was how long it took to resolve this. i would not want to be without my TV for an extended time. Robert seemed to be saying it took a long time to get to the point of refunding his purchase price. If Square Trade had just refunded the purchase price, yes, less the sales tax, in the beginning, within the promised 5 days, Robert might have been more satisfied, i don’t know. i think i would. But what is really needed is for these product manufacturers to stand behind their products and to warranty their products to be free from problems for 1 year, so that if in the first year, your expensive TV stops working, they will send you a replacement by express mail or two day mail, and send you a shipping label to return the nonworking TV to them. They can repair it and sell it refurbished. Retailers can sell extended warranties through square trade or others where the deal would be with the manufacturer that the original purchase price would be refunded or the TV would be replaced. If that model of TV isn’t available then it would be replaced with a comparably priced model, you would not get a more expensive TV than what you paid for, but the main thing would be that you would have a TV to watch in a very timely way, like, overnight or two day mail. The extended warranty company that could make that happen would get the business. I don’t know about warranties on cell phones and how worth it they may be. However, I did buy a Square Trade warranty on my PS3 when I bought it new on Amazon. At about year three of ownership, a month or two before the Square Trade warranty was set to expire, the PS3 died. I contacted Square Trade and they sent me a shipping label a couple days later to mail the unit to them, and it was returned to me fixed and fully functioning, with zero additional money out of pocket. Not doubting others’ poor experiences, but my experience was great. thanks for that info. btw, so, my son in law got a new iPhone 6 and when it was maybe 5 or 6 months old it fell in the toilet. Apple did not used to cover water damage to any of their products, but that recently changed, at least on the iPhones. my son in law was able to to go an Apple Store, give them his dead phone and take home a new one. I always buy the Applecare extended coverage on my Apple stuff, it’s cheap, warranty-wise, but it has saved me a lot of money, more than i’ve spent on the warranty. Unfortunately, i spilled water on my one year old MacBook Pro and that was not covered,. They replaced everything internal and the display for $700 and it was like new when i got it back, cheaper than buying a new one by about half, but coverage for water damage is worth having. Good story but you could have done the same thing with SquareTrade, which includes accidental damage, for less money (even if you didn’t apply one of their readily available coupon codes). 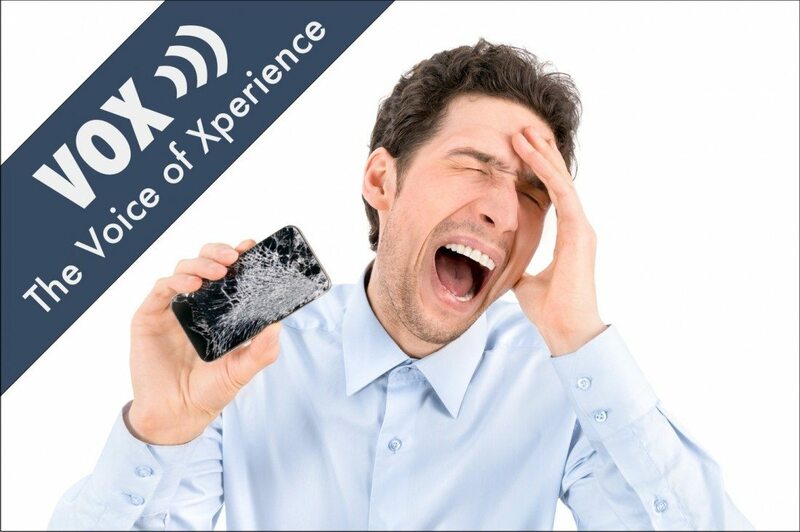 A good warranty on an electronic gadget should cover drops and spills two of the most common causes of damage or destruction. But it should also cover other accidents that may happen from time to time. If the salesperson or cashier is doing her job right, she’ll tell you that an extended warranty covers repairs or problems that aren’t covered by the?manufacturer’s warranty, or it extends your coverage for months, even years after?the manufacturer’s warranty expires. Buyer beware! Dont listen to the lies. You’re better off with no “extra warranty” than someone who wants to take your money but then won’t do anything but refer you back to the manufacture to get your warranty coverage. I bought a Samsung phone in April 2014. By October it quit functioning. It wouldn’t even turn on. I was sitting in a vehicle and set it on the dash after ending a phone call. I did some paperwork and then reached up to make another phone call and it was completely dead. Turned out to be a phone problem not a battery problem. I contacted squaretrade concerning my warranty. They told me that it was covered through Samsung and to call them first. They said they wouldn’t help me unless Samsung wouldn’t replace it. Samsung was difficult, and not helpful to get ahold of the right department. When I did talk to somebody they told me I needed to go through whomever I bought it from. I called squaretrade and told them this. Between samsung reps and square trade reps pointing the finger elsewhere I was not able to get either one’s warranty help. They took my money and refused me the warranty I paid for. I didn’t have the time to spend looking for the right samsung department for further runaround so I gave the phone to my daughter who does have the time and said you can have a free phone if you can get ahold of these people to honor the warranty. She had the same problem. Square trade representative that she spoke to told her that square trade wouldn’t cover it until samsungs expired or unless samsung wouldn’t cover it. The Samsung warranty expired April 17th 2015, so we called SquareTrade once more to see if they would finally do something to help us. this time they said they wouldn’t help us because our warranty expired on April 17th too. they told me that we should have tried to do something sooner about it. I tried to explain how we been on and off the phone with them since October and what they said in each conversation. They said unfortunately your options are now over with and there is nothing left to do for you. Thanks a lot squaretrade for stealing my money! You are crooked business. A good way to think of Square Trade is in terms of damage. This day and age software glitches are hard to verify and as such are waters that Square Trade is still charting carefully. There is a lot that can go wrong on the software side of things but that is largely not what you are insuring with Square Trade. It is too easy to get into the gray area there and Square Trade will call you on it and make you report to the OEM. They are running a business still after all. A logical person would have thrown their phone at the pavement, and submitted under warranty through Square Trade as an ADH claim. Instead you wanted to essentially pit Samsung vs Square Trade and you wasted your time and lost. Terrible customer service from SquareTrade. Endless phonecalls on hold and no satisfactory resolution to my claim. i think Abernathy is right, that a transparent business model would make extended warranty protection plans more attractive to more consumers. I have been comparing Square Trade and Asurion to cover my new Panasonic microwave. What i haven’t been able to clarify is, why should i buy a 3 year protection plan, if the first year has to be covered by the manufacturer? I got the microwave on Amazon, called them and asked this and other clarification questions, as they sell both Square Trade and Asurion warranties. The representative did not know and could not find out, but gave me Asurion’s phone number, telling me to call them and ask, which i haven’t had time to do yet. But i read customer reviews of both of these plans and there seemed to be a lot of confusion about this. If, as Asurion’s product description says on the amazon page, their coverage will start only after the manufacturer’s coverage expires, then shouldn’t i wait a year to buy the Asurion warranty? The Amazon rep seemed to think i should buy it right away. Amazon has their own customer protection policies, and i am somewhat vaguely reassured that if anything goes wrong in the early weeks and months that i have the microwave, Amazon will replace it. Asurion’s product description says that it will send you an Amazon gift card if you have an eligible claim. Not clear what makes a claim eligible, but apparently it would have to be after the manufacturer’s warranty expired. So would my 3 year protection plan start after the manufacturer’s warranty expires? Is the idea that i buy the protection plan now and then wait a year for it to go into effect? Seems odd. I will tell you right here the kind of warranty/protection i would buy before any other. It’s the kind that Staples has been offering for a long time on the printers they sell. The last one i bought was about a year and a half ago. It was an HP All in One, it was quite inexpensive compared to what similar and less technologically advanced printers cost the previous time i bought one, less than half what i paid for a similar all in one, like about $140 or less, and with more capability. So, since the printer was so cheap, i didn’t get the warranty. i could just get a new one, hoping it would at least last a couple of year. i don’t remember how much the warranty was but it was somewhat pricey, compared to the price of the printer, maybe $15. However what i like about it and would be willing to pay more for is that it’s an automatic replacement warranty. If anything goes wrong, you can bring the printer back to Staples and they’ll give you a new one on the spot, no hassle. Yes, you would probably need to keep your receipt and copy of the warranty in a place where you could find it. But i don’t really want a warranty where i have to ship my device for repair at my expense and then wait indefinitely to get it back, while i try to figure out a solution to the fact that i have no printer. That is pretty useless. I want an immediate replacement warranty, i’ll pay for that. I liked what Abernathy was offering, they will return your item to you repaired within 5 days of receiving it from you–or, they will refund the purchase price to you. I would be happy to buy that, although not very happy to have no printer or microwave or computer or whatever for 8 to 10 days including shipping—at least they were very specific about what their obligation is. But then it said, if you don’t either get the refund or repaired item back in 5 days, they will refund the price of your warranty. ???? What good is that?? That’s not what i’m looking for, the warranty for my item with Square Trade on Amazon is $18 (for a $150 purchase price). I don’t want $18 back. I want a refund for my item or a replacement, timely. That’s what has me hesitating to buy extended warranties. i don’t want my broken item to fall into a black hole. HP is another company that has provided me with good warranty experience in the past. They have sent me a replacement printer/all in one by UPS and i use that shipping box and free shipping label to return my nonworking printer to them–after i already have my new one. That is the world i want to live in. That is a company standing behind their products. Amazon has similar return policies, making it easy, not stressful, and making it successful for the consumer. That’s why i buy most stuff on Amazon, and is probably a big part of their success. That’s what i would like from Square Trade, a reason to choose them over Asurion–or to choose either one of them at all. Amazon doesn’t make me have to hassle with the manufacturer, if my product breaks or has a problem. They refund me fast so i can buy a new one, if i want. But their warranty doesn’t last very long. How long it lasts is somewhat vague, they seem to have a lot of discretion. As long as it works for me, i am very happy and confident to shop there. I don’t think the kind of extended warranty i want exists yet, except, in my experience, with HP and Staples, and in the case of HP, that is their original warranty that i don’t have to pay extra for, they just provide good service in that respect. Probably part of the reason why i have bought one HP after another over a couple of decades, each one lasting some years, another plus. An extended service plan can be purchased for just a fraction of what you could pay for service repair. Warrantech is the best extended warranty company from others. Wonderful experience with purchasing my new gadgets. Make sure you’re reading the terms and conditions. People get warranties for all different reasons and if you’re interested in a specific benefit, take the time to read things thoroughly before making a decision. If the fault becomes apparent within the first few weeks after purchase, you can get a full refund. These rights don’t cover accidental damage, or damage caused by you – but surprisingly, extended warranties don’t always cover you for these either. well, I definitely will not be buying another squaretrade warranty. The whole purpose of buying it was to not have to deal with manufacturer. My powerline extender died in less than 2 months and squaretrade redirected me to Netgear. Why did I buy this plan if you are going to make me do the leg work? Won’t make that mistake again. Pretty sure walmart’s extended plan does not make you do this. If you do not buy an EXTENDED Warranty for example on a Microwave oven you are a fool. Microwave ovens are more complicated now and they seem designed to fail now just outside the one year warranty. They do not last many years as they used to. I had two Microwave have some major failure just right after the one year warranty and it was cheaper to just replace them than to pay to fix them. Same thing happened with a Washing Machine and Refrigerator I bought. It would cost about as much to fix it as buying a new Microwave oven or other Appliances. So buy the Extended Warranty. If not, don’t cry when it fails and you have to spend the money to buy a new one. And this is the LIMIT of what they cover. So when I pay 96 cents on Black Friday, their commitment is 96 cents, on coverage that I pay so much more for. AND, I can’t possibly replace my phone for 96 cents if it fails. Their terms ought to specify Replacement Cost, not purchase price. Otherwise, at least from a contract perspective, their product is useless. I wonder what they have to say about this? As someone who works for Staples and sells SquareTrade Protection Plans: I’ll tell you this: It’s SquareTrade’s discretion as to what happens in the event that you file a claim. So you could get your 96 cents back–a full refund. Depending on the price of your warranty, your coverage amount is more. $15 may be able to cover up to $100, as I will demonstrate now. Let’s say you buy a printer for $70, and that the plan is $14.99 for 2 years. If the printhead fails within 2 years, which is a common problem for cheap HP printers, SquareTrade could give you a full refund or a new printer. The idea is that a few extra dollars saves you from having to buy a new device out of pocket. So if your printer fails, they just give you a new one or your money back. You won’t have to fork out another $70. Now try this. Printer+Printer: $70+$70 = $140, nearly twice as much money you would spend without the plan. Now a real life example. I was at work one day and an elderly couple came in with their printer. They had a 3yr SquareTrade for $24.99 for the printer, which cost $94. The coverage amount for that SquareTrade was up to $100. I called SquareTrade on their behalf, SquareTrade sent them a check for $94 in the mail. What I am trying to say is that SquareTrade will always be able to give you a refund or replacement, provided that the cost to repair or replace it is less than or equal to what you originally paid for it. Of COURSE they can give you a full refund OR replacement for a printer you bought 3 years ago–the thing is outdated, it’s likely not worth fixing, and if they do replace it, the parts are going to be dirt cheap. Even if it were the same price sending it out for repairs might be a better option as you would save the cash on the 66% chance you don’t damage it by drop or spill. Guys check out http://protect-o.com/ I think they have much better deals than squaretrade.